Come see why Robert Trent Jones, Sr. described Incline Village as "the ideal mountain layout with a challenge you won't want to miss and views you will never forget." 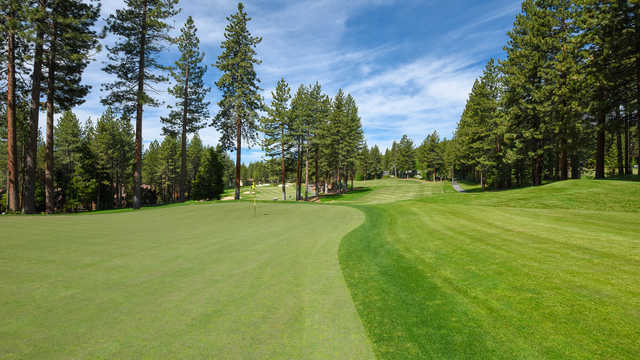 The Championship Course offers tightly cut fairways, bordered by towering pines, demanding accuracy as well as distance. Golfers are faced with bunkered greens and lateral water hazards on almost every hole. Challenging, to say the least. Considered by many to be one the top golf courses in the West, the Championship Course has everything you would expect from this Robert Trent Jones, Sr. Masterpiece .